What door are we talking about? In Scripture, words have a very strong connotation and power on different levels. You read a word down here and then read a word up here, and the word carries a greater power. The “door” means Jesus Christ. He said, “I am the door.” In this verse, the door into Christ was shut. That means that Christ has had His full amount of people (those who will reign and rule with Him) and He shut that door. It was shut! We don’t really understand what it means. No matter how much we feel that we understand, we have no idea. I often make fun and say, “Well, you will be in charge of Champaign, and the other one will be in charge of San Francisco,” and so on, but what God is talking about is much, much more than that. There are some things of God’s divine plan for the ages that we never even dream about. God wants people. He is recruiting people now for that position! You are going to be part of that according to what you are now, because this is the proving ground! Do you understand it? I put you on the proving ground, and you go taking it easy! You need to understand! Rise up now, and do what God wants you to do now! Because we are the people of the end, and we are at the end. Hallelujah. We are talking about “The coming of Christ.” Young people, some of you have never heard the gospel right, and you need to know what is meant when we talk about the coming of Christ. Christ is first coming in His temple; then He will come out there for everybody to see Him. In other words, CHRIST coming in His Temple, and JESUS CHRIST coming out there. Do you know what “fool” means? “Fool” means that they have said in their hearts that “there is no God” (Psalm 53:1). You can be fools for a while and wise afterwards, but when you are wise too late then you find yourself outside in the darkness seeking oil. The whole idea that God is showing us is that there is an elect people. There is an ekklesia—a Church—a “called out” people, and out of the “called out” God is calling out. God is calling out a people to be “excellent,” to be “diligent,” to be the “top”; and I believe that everyone who is reading this article has that privilege right now. When we speak of a person who is not going to make it, we are only speaking about those who do not WANT to make it! That’s right! You say you want to make it, but if you never make the effort, you will not make it! God wants people who are diligent: who will lay down their life for God and for what they think God is saying that they should do, and what they should be. What am I saying? Why would He tell you to watch if you did not have a chance? So then, the destiny is not a fixed destiny (that you must go to heaven, or you must go to hell, and you must…). No! If you do not understand God, then you will believe that; but if you understand God, you will know that God has given us a race to run; and He said, “All of you—RUN!” (Ref. 1 Corinthians 9:24, Hebrews 12:1). Furthermore, God gives you everything. He gives you everything possible to make you all winners! Some will win and some will lose, because those who lose do not have the heart to win. “Watch ye therefore, for ye know not what hour your Lord doth come.” Yet, there will be some outside in the darkness seeking oil. Revelation 16:15 is another one of the warnings that there is going to be a secret coming of Jesus Christ. He will come secretly without fanfare, without noise, quietly, and many men will not know. As a matter of fact, some of the Christians today will not know that Jesus comes because He is coming to a prepared people at a special time. The thief-in-the-night coming of Jesus is well established in Scripture that it is going to be a secret coming. There are also many scriptures that say He is coming, “and every eye shall see him,” Revelation 1:7. There is no way that He could come secretly, “and every eye (shall) see him.” These are two separate things. He is coming in the church, to the church, inside of humanity, to fill those who are prepared with His presence. That is why Jesus taught His disciples to pray, “Thy kingdom come. Thy will be done in earth, as it is in heaven.” The will of God will be done in my earth, and in your earth, before it is done in the earth outside. Jesus is speaking of this secret coming, when He will be coming in the believers, in those who are ready, in the wise virgins. “Lest he walk naked, and they see his shame” means on that day many Christians will be ashamed of the doctrines they preach. One of these doctrines is definitely the rapture doctrine – that we are going to fly away. God wants us to overcome the world here. We cannot fly away and at the same time overcome. We must overcome at the darkest part of time. This is what God is training us for – TO OVERCOME EVERYTHING. First of all, we are to overcome the sin that is within us, the devil that is within us, to cast him out completely, to overcome the flesh, to overcome the mind, the emotions, the will, and the desires. We must be an overcomer, then we will begin to overcome the devil himself, until finally we will overcome death. Thought for today: Jesus is speaking of a secret coming, when He will be coming in the believers, to those who are ready. Let us look at the mystery of Daniel’s seventy weeks as described in Daniel 9. Daniel 9:24, “Seventy weeks are determined upon thy people and upon thy holy city, to finish the transgression, and to make an end of sins, and to make reconciliation for iniquity, and to bring in everlasting righteousness, and to seal up the vision and prophecy, and to anoint the most Holy.” Everything will be done to finish the end of the age. If the people in the time of Jesus Christ (the scribes and the Bible men, the Pharisees and the theologians) were really on the ball, they could have pinpointed the time of Jesus’ arrival. God had told them that it would be “seven weeks, and threescore and two weeks” and the Prince shall come. That is seven and sixty-two, SIXTY-NINE WEEKS. From the time that the commandment was given to restore and build Jerusalem to the time of Christ’s coming was sixty-nine weeks. See how simple God made it? They could have calculated it. We can identify from this verse who the people of the antichrist are, because it is the people who will destroy the temple and destroy Jerusalem. Now we know who did that. Titus destroyed the temple and destroyed Jerusalem, and remember, the scripture said it was AFTER “THE MESSIAH, THE PRINCE” CAME, after Jesus Christ. Therefore, it was Titus that did it and Titus was the general of a Roman army. We are looking for the antichrist then to be from Rome. Daniel 9:27a, “And he shall confirm the covenant with many for one week.” Jesus Christ will “confirm the covenant…for one week,” that is for SEVEN YEARS. That means that God ordained the seventieth week as the week in which God would walk and talk in a people. Remember the great promise that God gave? Jeremiah 31:33b and c, “After those days, saith the LORD, I will put my law in their inward parts, and write it in their hearts; and will be their God, and they shall be my people.” 2 Corinthians 6:16b, “I will dwell in them, and walk in them.” Hebrews 8:10b, “I will put my laws into their mind, and write them in their hearts.” God wants a people in whom He can walk and talk – A LIVING, WALKING, TALKING TEMPLE and dwelling place for God. “He…confirm(ed) the covenant…for one week.” We understand that the covenant is confirmed for a week and that the covenant-keeper, that is the one man who could keep the covenant with God, DIED. Daniel 9:27b, “And in the midst of the week he shall cause the sacrifice and the oblation to cease, and for the overspreading of abominations he shall make it desolate, even until the consummation, and that determined shall be poured upon the desolate.” Jesus Christ was slain in the middle of the week. Three and a half years after He started His ministry, He was slain. That means that the promise had to wait, for there was no son to inherit it. As soon as another son is born, we will inherit this promise. We understand that the birth of the man child will NOT be one man, but will be a many-membered man. This many-membered man is called THE MAN CHILD. This man child will take up the promise of God. 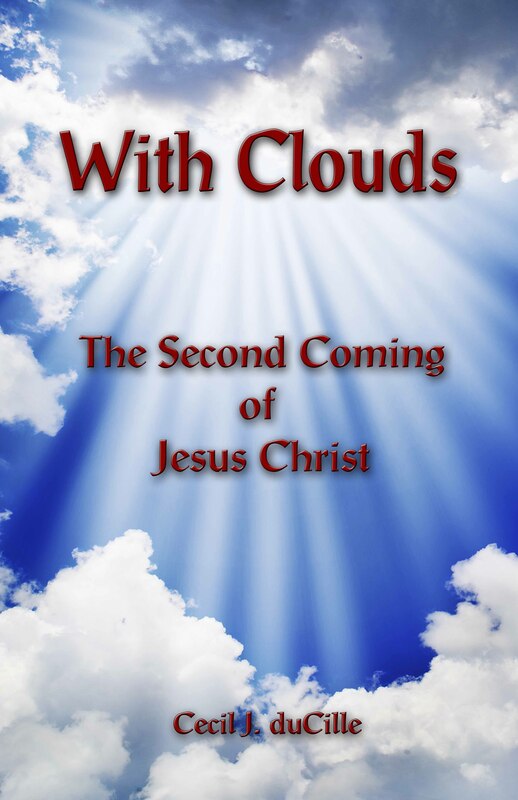 The three and a half years that Jesus Christ left for the church will be taken up because we will come forth in the image of Christ Jesus according to the Word of God. Romans 8:29, “For whom he did foreknow, he also did predestinate to be conformed to the image of his Son, that he might be the firstborn among many brethren.“ It is God’s will, God’s intention, that Christ should have many children exactly like Himself. There will be those who are moving in that fullness at the seventh trumpet of God, when all the mystery of God shall be finished. Thought for today: Remember, God wants a people in whom He can walk and talk …a dwelling place for God.